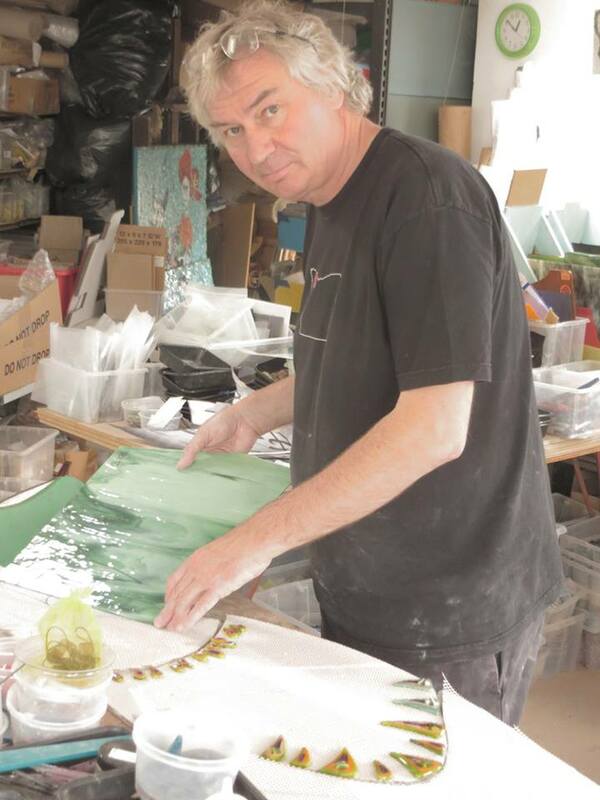 Pelican Central Mosaic Arts studio in downtown Ft. Pierce announces a special two day mosaic workshop on March 16 & 17 with visiting instructor, Martin Cheek, of England. Martin is well known in the international mosaic community as a master mosaic artist and author of over 10 books. 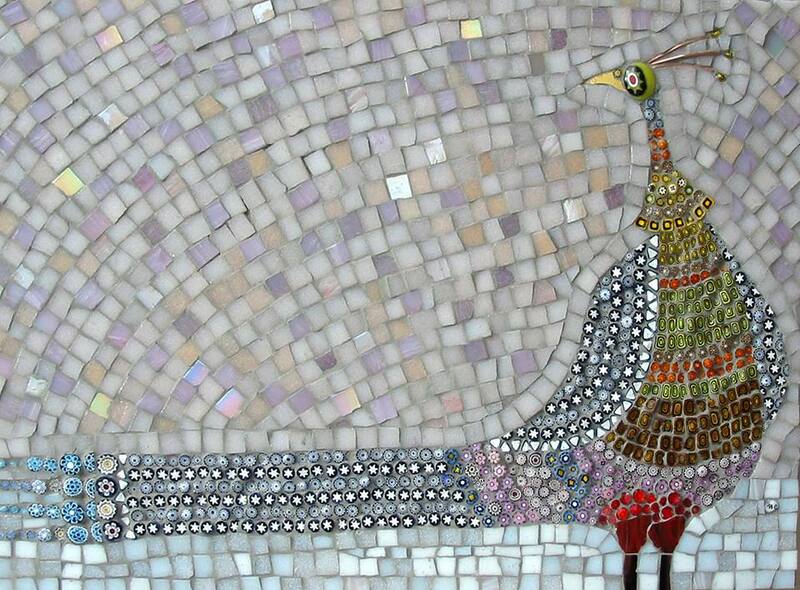 He pioneered the use of handmade fusions to create mosaic art. His themes are varied, but his passion is primarily whimsical (‘cheeky’) animals, especially his peacocks. The Rickie Report shares the details and urges you to register now! At the workshop, students will enjoy plenty of discussion, practical demonstrations, hands on work and individual instruction. Students are encouraged to bring their own design and use a variety of fusions from the selection Martin brings. The workshop focus is the mosaic process and as each student’s pace is unique – some may not finish. To mitigate the possibility that a student may not complete his project special fusion kits (new this season) to build specific designs will be available. When you register, you can select a specific kit. Martin’s engaging style and humor is the highlight of the workshop. In addition to just having fun, students are going to hear Martin’s take on some of the mosaic fundamentals such as andamento, keystoning, grout and other techniques. Martin will also do various demonstrations throughout the workshop. A substrate, fusions, stained glass, vitreous tile, millefiori, and smalti will be provided as part of the materials fee. Don’t miss this opportunity to work with Martin Cheek! The workshop is offered at $375 (plus $75 materials fee). A $200 deposit secures your spot. 30 days before the workshop, the deposit becomes non-refundable. Martin travels from Europe and a lot of preparation is done by both the artist and the studio. 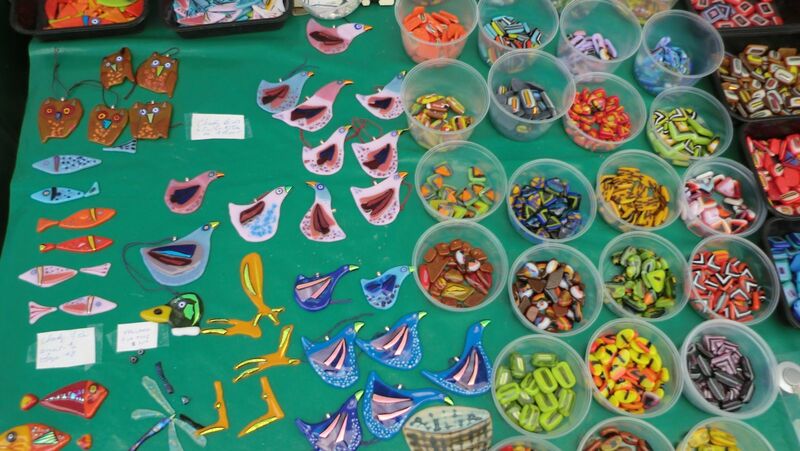 The location of the workshop is Pelican Central Mosaic Arts, a mosaic studio in lovely downtown Ft. Pierce. The town is emerging as quite the art destination featuring galleries, studios, shops, restaurants and the widely popular Saturday morning market (a vibrant green market with art, food and music) on the waterfront, all within walking distance from the studio. 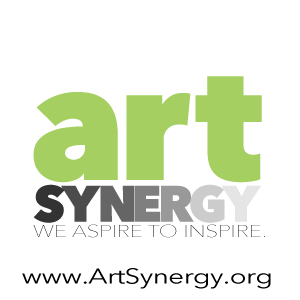 Diane Concepcion and Asia Booth provide mosaic instruction, studio hours, sell art, create mosaic commissions, offer group classes and provide gallery and classroom space. Martin Cheek has been creating mosaics professionally for 30 years and has shared his expertise in six best-selling books on this subject. With a degree in graphic design from Exeter College of Art & Design in the United Kingdom, Martin went on to work in the film industry as an animator where he set up his own production company, Cheeky Films Ltd. He has worked on award winning films and puppet animation projects including The Wind in the Willows, Paddington Bear, Noddy in Toyland, and Portland Bill. As a full time professional mosaic artist, Martin spends his time working on commissioned projects for both private and corporate clients that include museums, schools, parks, and hospitals. Martin teaches workshops throughout the U.S., U.K., New Zealand, Australia, and Europe. 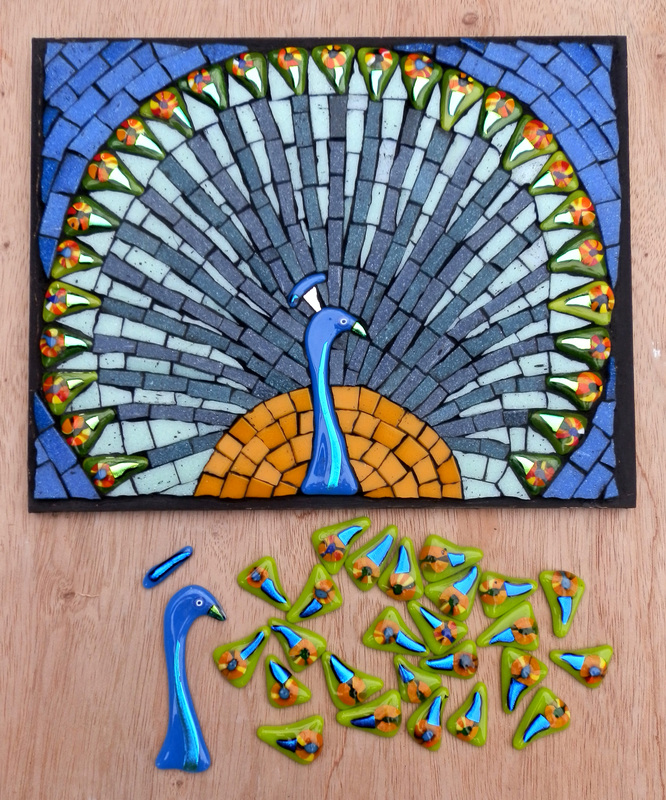 Martin’s latest book, Fused Glass Mosaics, is a good illustration of the exciting medium of using fused glass mosaics. The text is a rich bestowment of Martin’s detail to order, his passion and humor, and his you-can-do-it encouragement. This book serves as an art course in mosaics, whereby each chapter offers a different stylistic challenge. In fulfilling these projects, the reader will develop their own individual style. The mosaic ladies have arrived in Fort Pierce! If you’re interested in mosaics, you’ve heard of Diane Concepcion and Asia Booth! 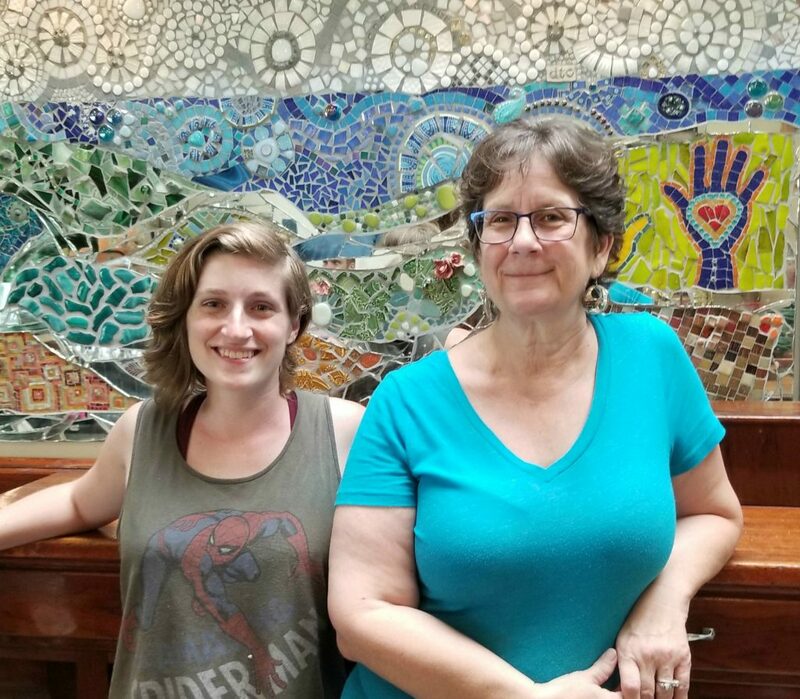 They’ve been creating/teaching mosaic art in Martin County for years. Diane and Asia have had studios in several locations, including an urban farm! Their journey has led them to Fort Pierce, which is experiencing a true renaissance. The new studio, Pelican Central Mosaic Arts announces the Grand Opening Party on Saturday, October 13th. The studio is a special place that includes a gallery, plenty of classroom space, and resident artist Christine Fitzgerald of Christine’s Coastal Treasures. The new space is available for other artists to teach as well! The Rickie Report shares the details and some sneak peeks. Meet and greet the artists, take a look at the great studio space, ask about the classes, create a ‘Make and Take’, and share some refreshments. 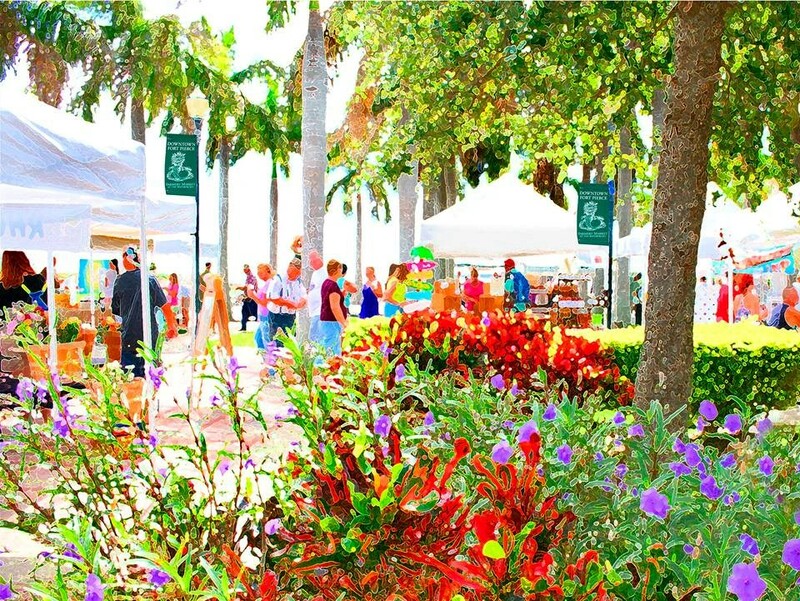 While you are in Ft. Pierce, you’ll want to explore the Saturday farmers market, live music, water front, restaurants and many other art galleries in town. Fort Pierce, the home of the A.E.Backus Museum and Florida’s beloved Highwaymen, is synonymous with art. The city is alive with new restaurants, craft breweries, art galleries, art co-ops and all kinds of unique shops. The long standing Saturday Farmers’ Market on the waterfront is as busy as ever. Every Saturday, not just during snowbird season-but all year long, you will find art vendors, food vendors, a green market with fresh local produce plus a big selection of artisanal food products and live music. The market has been a local tradition since 1997. Diane Concepcion and Asia Booth have both previously exhibited/sold their mosaics at the Art Connection, in the historic Arcade Building, an artist owned co-op with 30 plus artists of all types of media. Lively Fort Pierce’s downtown has an ever expanding art community and calendar of unique city events, like the Monthly Art Walk. That convinced them to stay! The new studio, Pelican Central Mosaic Arts, has been open since September 1st, but the official Grand Opening party is Saturday, October 13th. The new studio is a special place that includes a gallery, plenty of classroom space, and resident artist Christine Fitzgerald of Christine’s Coastal Treasures. Diane, the founder of the original mosaic studio, was essentially self-taught until she retired and found time to study at the Union Square Art Cooperative in NYC. She continued working with the most highly regarded artists in the mosaic community. 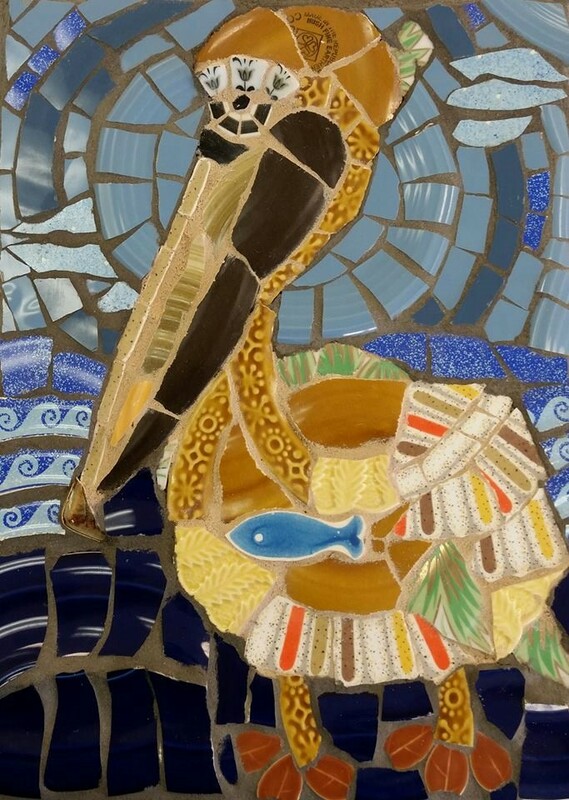 Diane loves mosaic garden art (stepping stones, flower pots, gazing balls) or functional art (house numbers, picture frames, table tops) but to sooth her artistic soul, it’s usually a pelican. Hence the name of the studio! Asia found her passion for mosaic art in high school. All it took was one project in a studio art class to have her hooked. 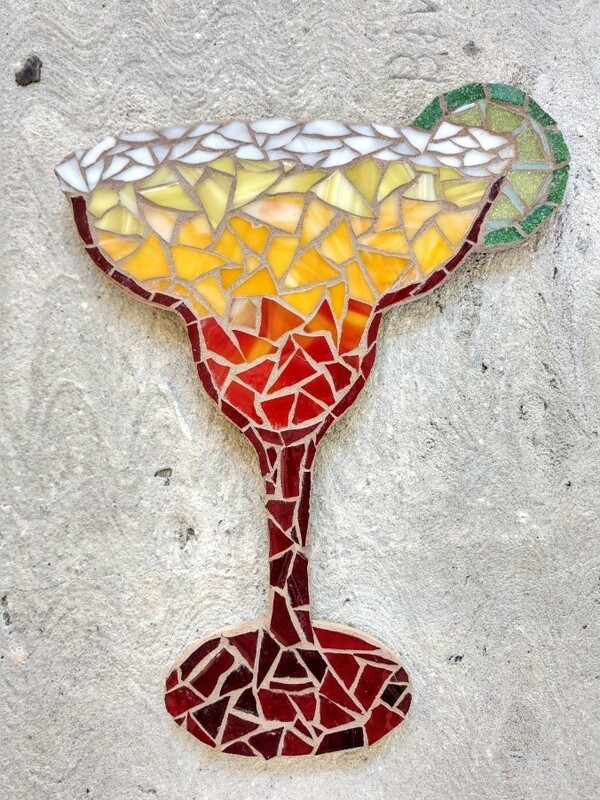 From there she began to experiment with glass, and began creating stained glass mosaics in her spare time. Before she met Diane, she had been working out of her home and selling her art at fairs and shows. 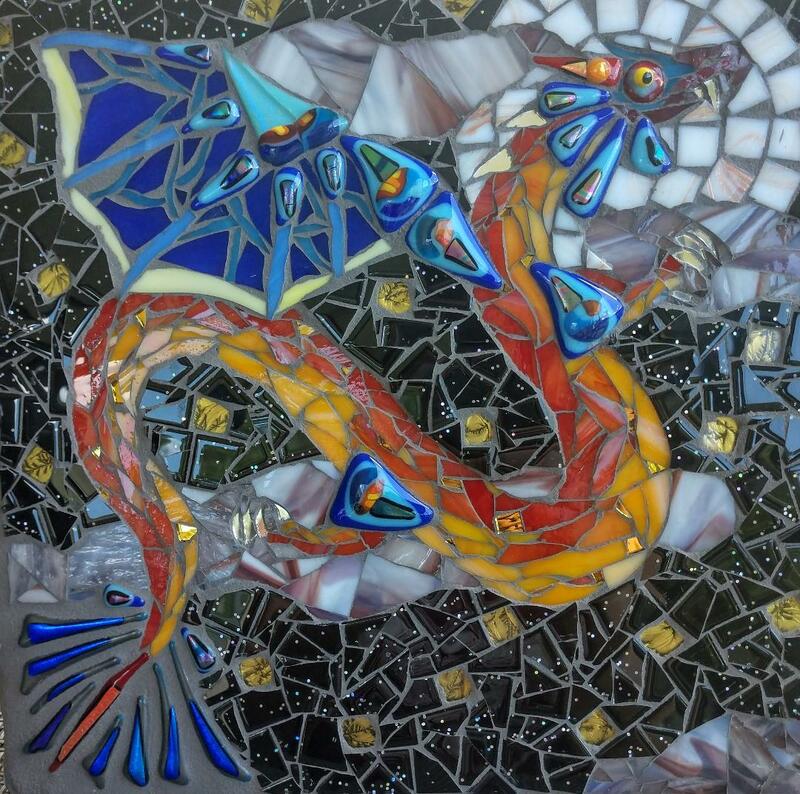 Now with more time and space to devote to mosaics, she loves to recreate video game characters, peacocks, and especially dragons out of glass. She also enjoys helping self- proclaimed “non-crafty” people to find their inner artist. Christine Fitzgerald has been a teaching artist for over 30 years. Her passion is helping her students to get their creative juices flowing…for them to enjoy creating…and not to be intimidated…all in a fun, relaxed atmosphere. Christine has taught all over the world on high end cruise ships for the last 18 years. She also started an art program at a local nonprofit, teaching adults with special needs to express themselves through art. 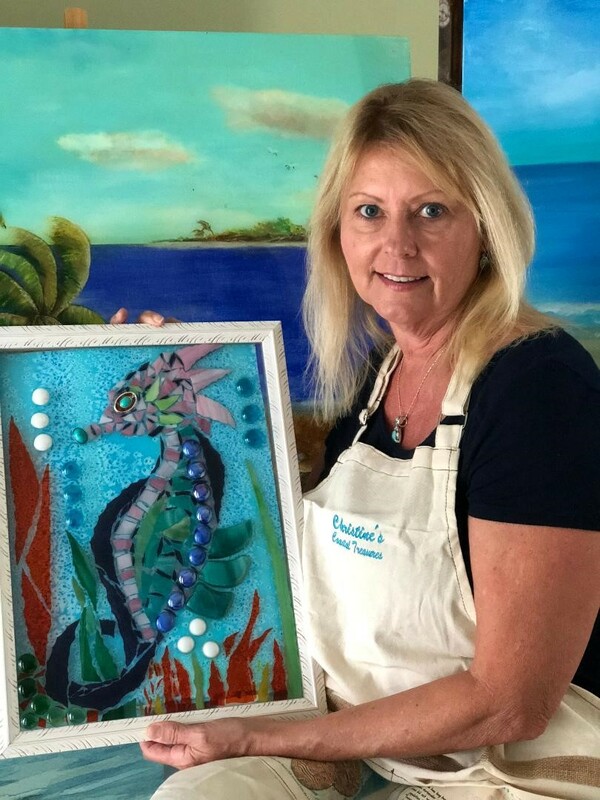 Christine recently closed her coastal store and classroom in Jensen Beach, and is now excited to have an art studio in her own community of Ft. Pierce. Her resin art classes are all the rage, and fill up quickly, so don’t miss out! 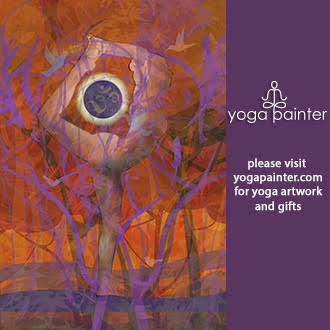 Come play, learn and create with Christine. The creatives of Pelican Central Mosaic Arts all give one-on-one or group instruction. There are studio hours by appointment or on ‘drop in days’. 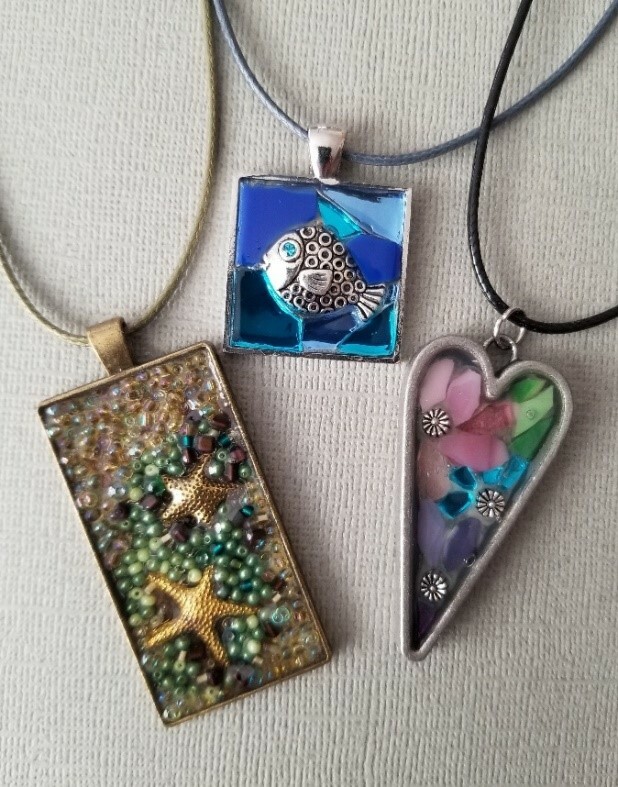 They have developed several classes which they give in the studio or ‘Out and About’ at locations around Martin and St Lucie counties, such as the highly popular Mosaic Jewelry class. Another fun ‘ladies night; class is the ever popular Coastal Shapes. In a 3 hour all-inclusive class you’ll make a fun coastal wall hanging in the shape of a seahorse, turtle, pineapple, mermaid or one of the many other shapes available. The new space in Fort Pierce is available for other artists to come and teach as well!